Beatles meets early Kings Of Leon in this raw sounding yet accomplished slice of surf rock. The Surfing Magazines – New Day is new to us and thanks to BBC Radio 6 is now firmly in various BBB playlists. According to the official blurb on their Facebook page they’re a garage rock super-group. Not entirely sure what that means, I guess a supergroup of people that the vast majority of the general populace have never heard of. 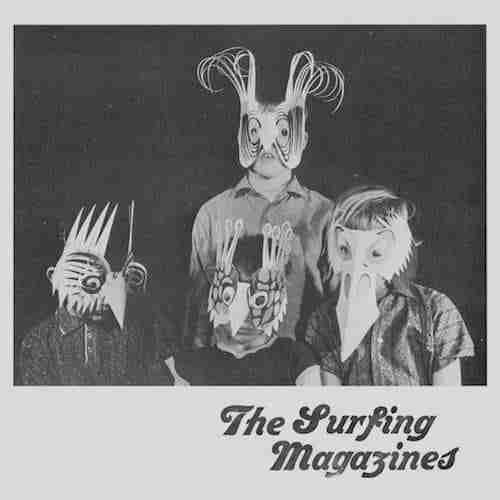 No offence to the Surfing Magazines but their previous groups The Wave Pictures and Slow Club are not bands we’ve heard of before, sorry guys. Anyways that’s all essentially irrelevant, especially when this meeting of minds has resulted in a refreshingly retro form of UK indie that isn’t just jangly guitars and annoying Micro Korgs. It may not crash into the Top 10, but these days the Top 10 is essentially irrelevant in a world of playlists. Surfing Magazines – New Day is out now and we’re looking forward to hearing more from them. PreviousFour Tet donates first 1000 copies of LP ‘New Energy’ to Oxfam, wow!